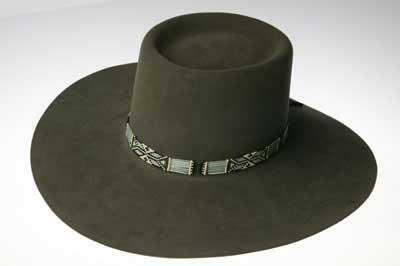 We are all about cowboy hats, making custom western cowboy hats the old way - by hand. 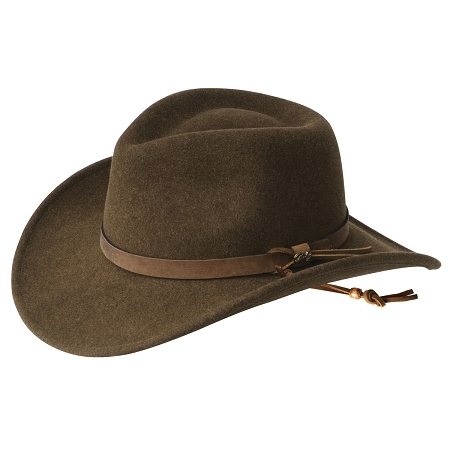 Design your own cowboy hat, and we will build it for you, anything from a straw hat, to our finest 100% Beaver Fur Hats. 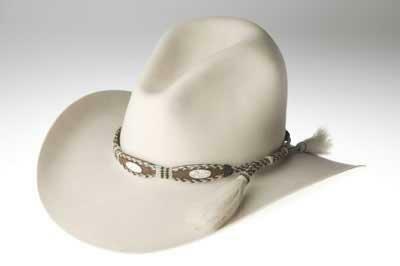 We carry straw cowboy hats and palm leaf cowboy hats by brands like Bailey, Atwood, and Sun Body. We sell blended fur and wool hats by Bailey and Stetson, and have a complete line of crushable western and fedora style hats. Jackson Hole Hat Company is known for its custom handmade Beaver Fur Cowboy/Girl Hats, based upon an art and craft that has not changed over the last 100 years. It still takes highly skilled Artisans to make a quality cowboy hat, there are some things that are best not improved upon. 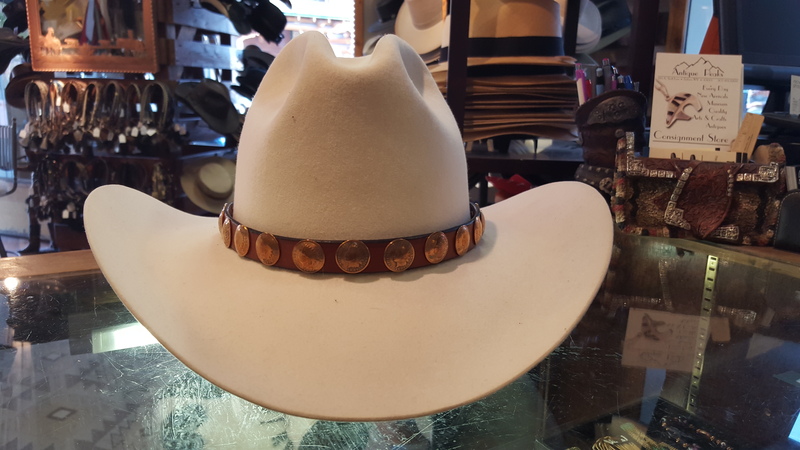 Jackson Hole Hat Company also carries top-notch accessories, Hand Crafted by our Western Artists, including beaded porcupine-quilted Western-Style hatbands, hand-tooled and painted leather belts and custom hat racks. 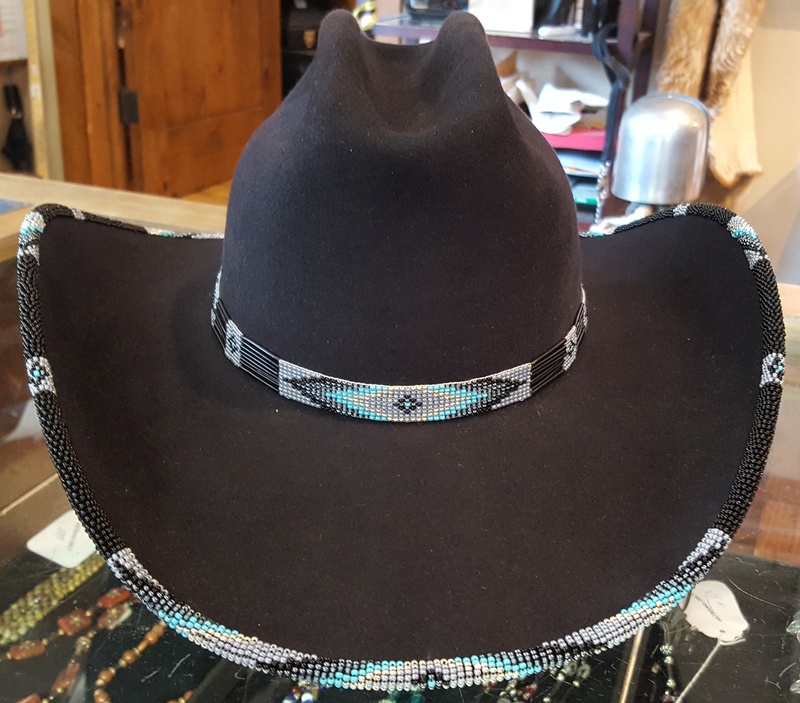 Among our locally made custom color coordinated beaded hat bands you will find silk western scarves and other western gift items that are hard to find. Our retail store and manufacturing facility is located at 45 W. Deloney Avenue just 1/2 block of the northwest corner of the town square. Felt Stiffener "Hairspay For Your Hat"